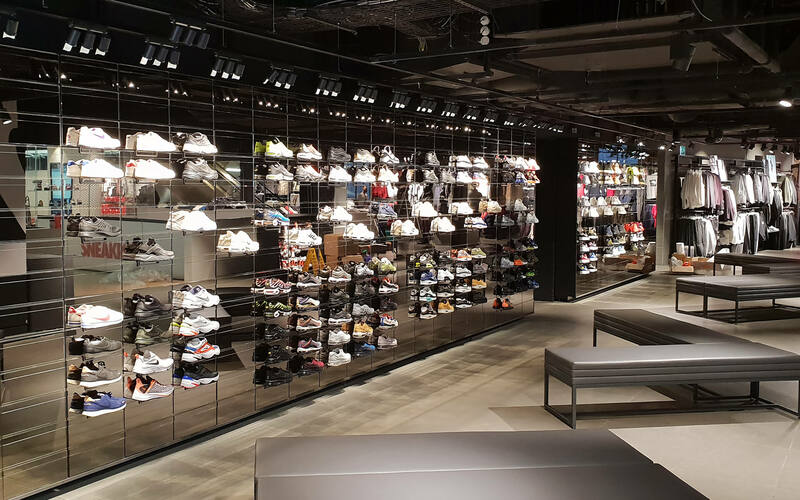 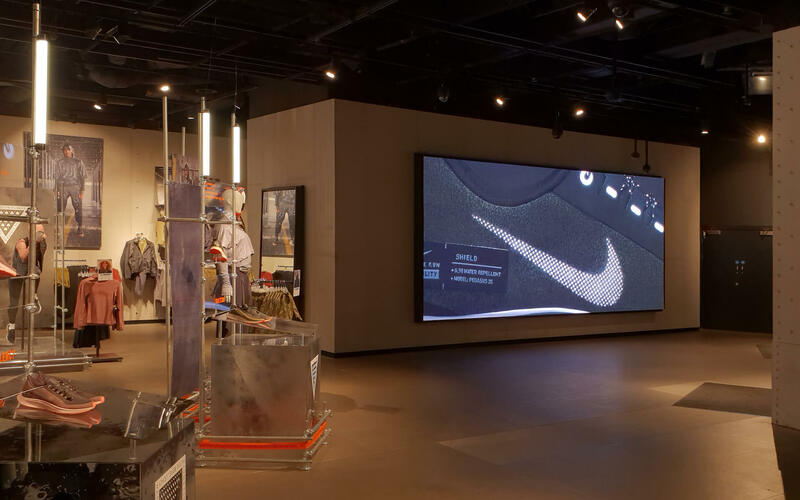 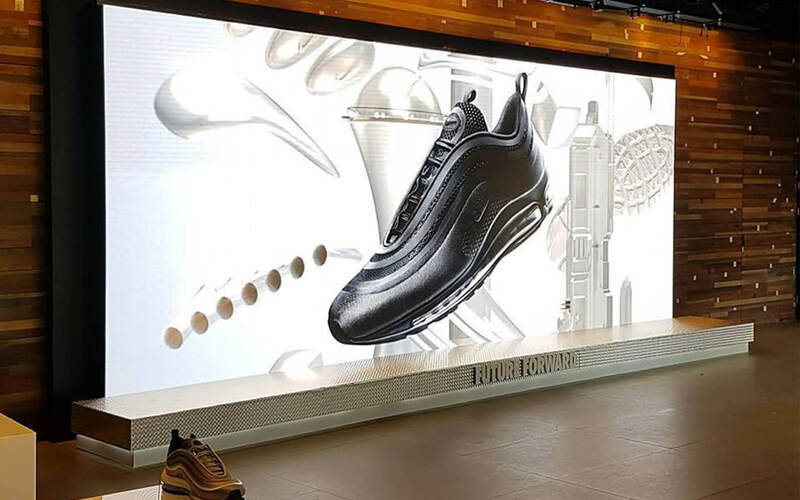 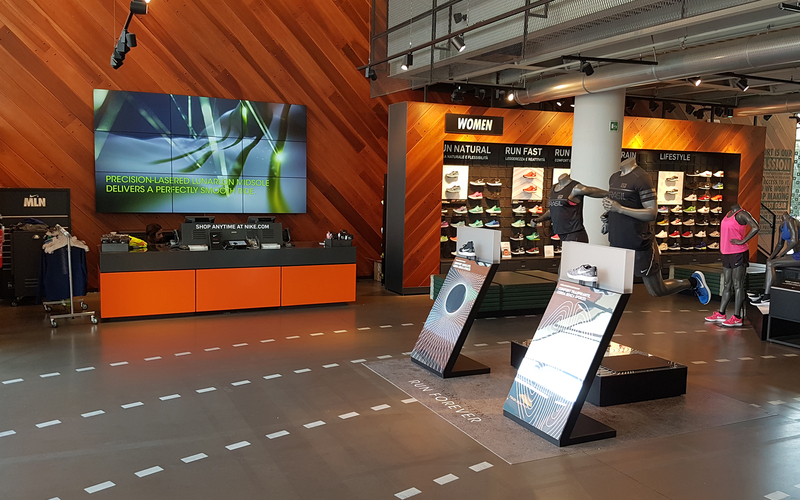 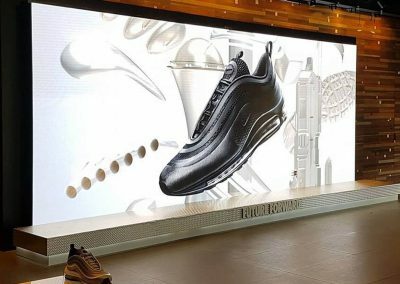 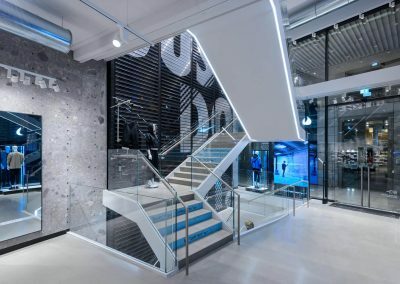 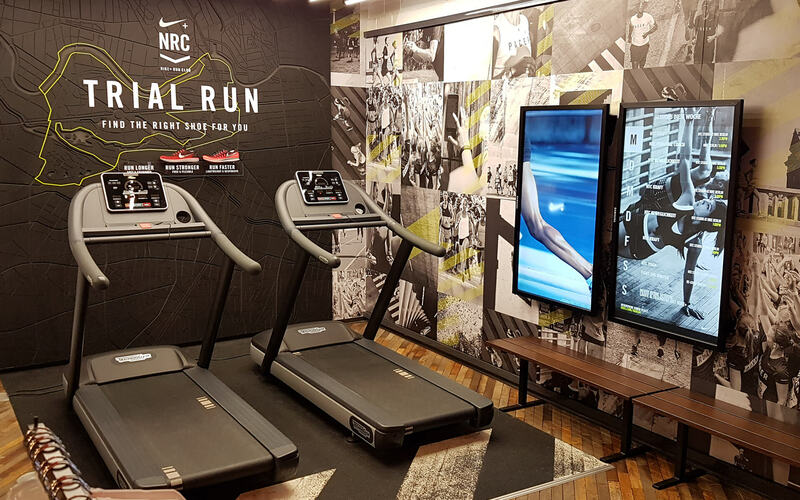 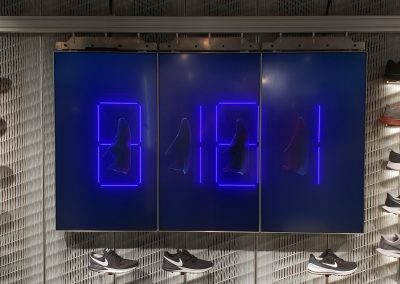 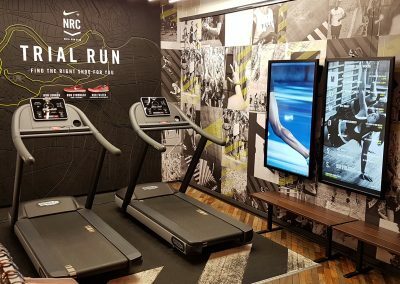 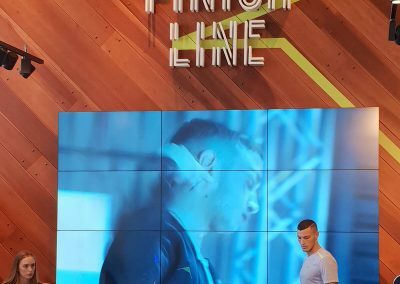 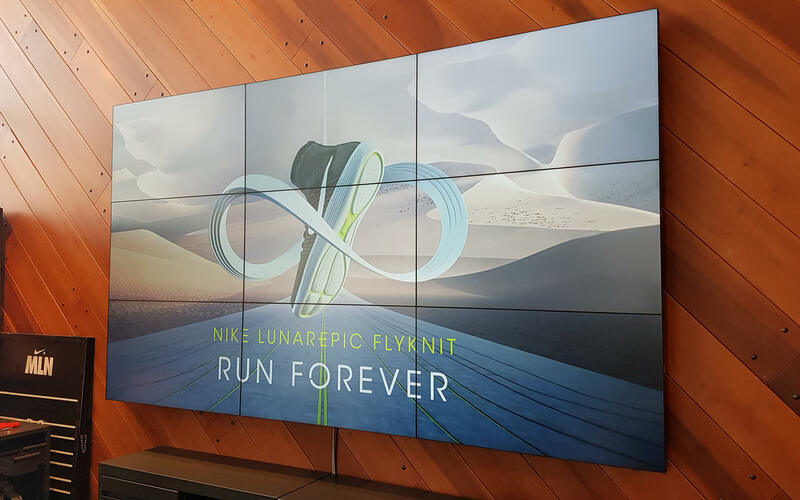 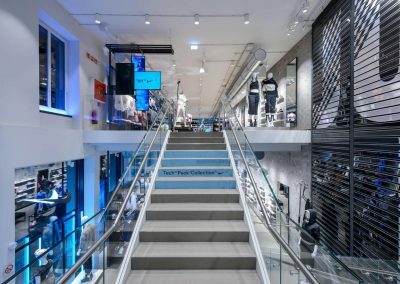 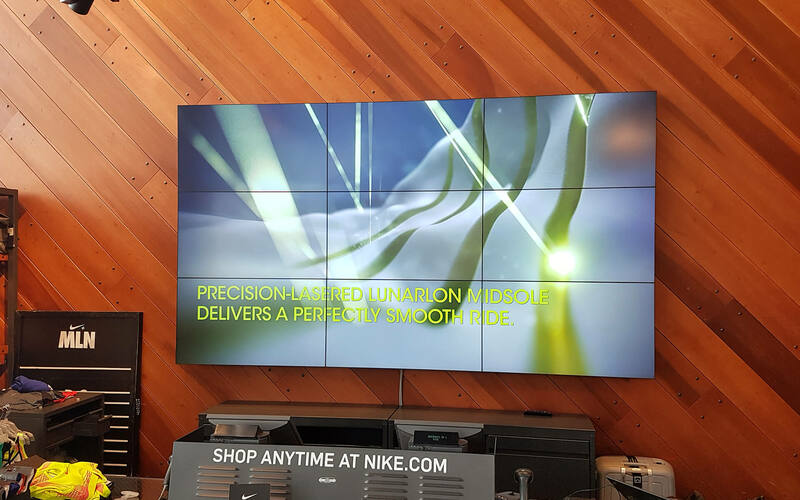 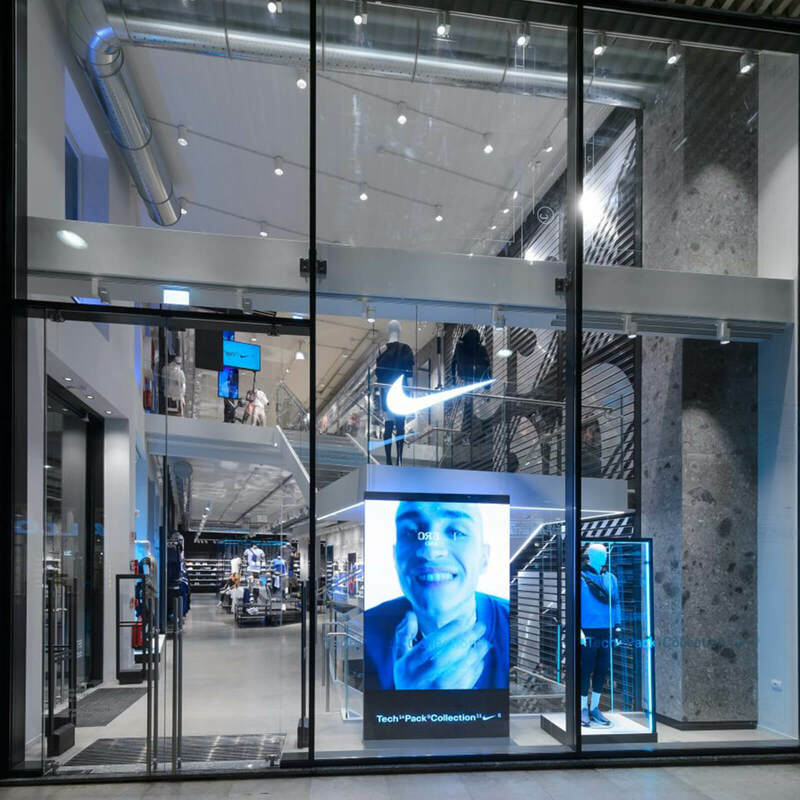 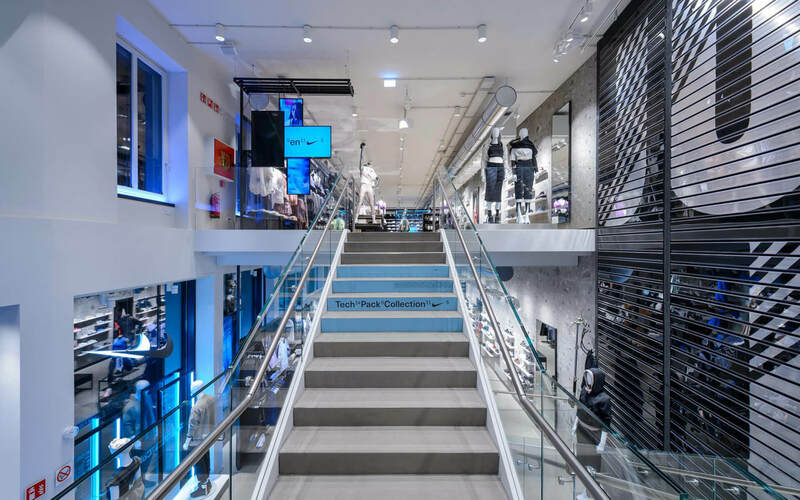 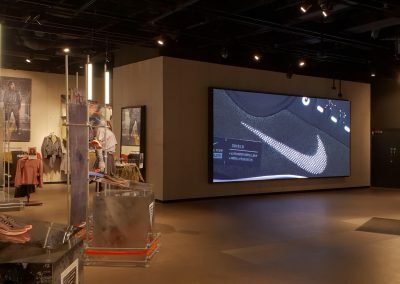 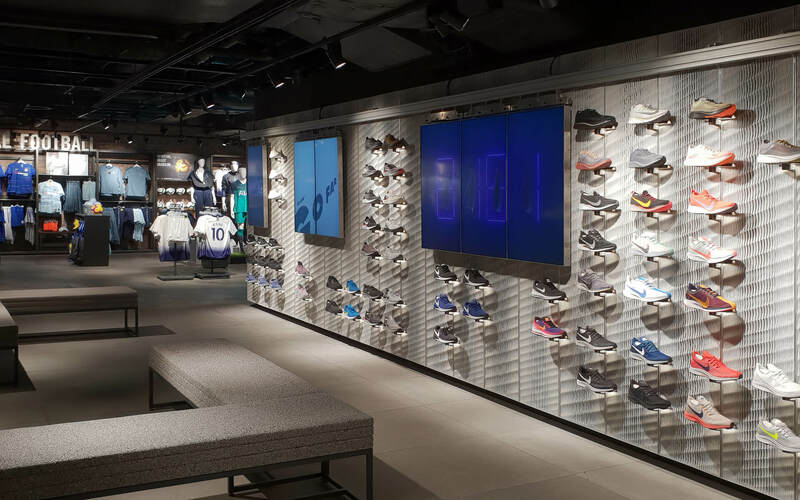 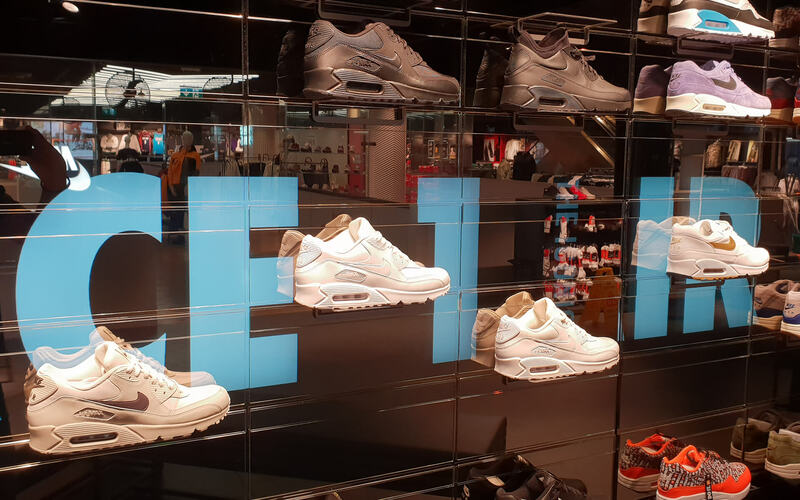 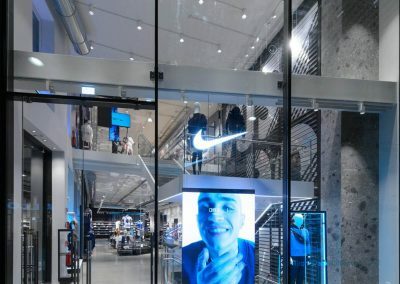 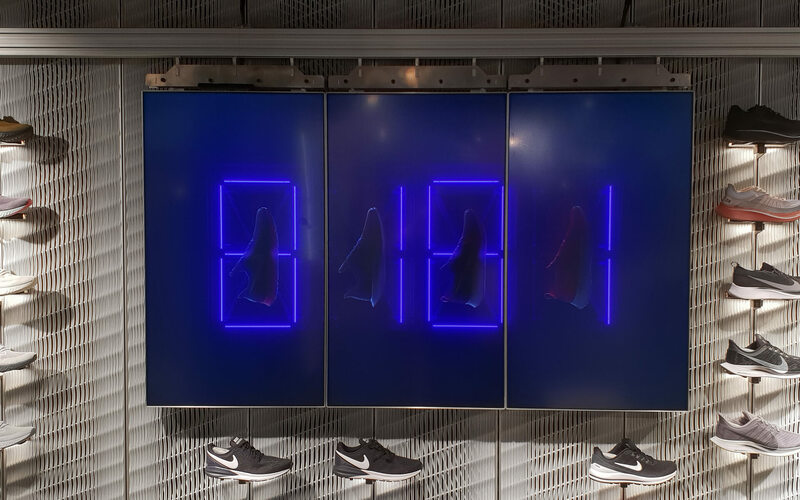 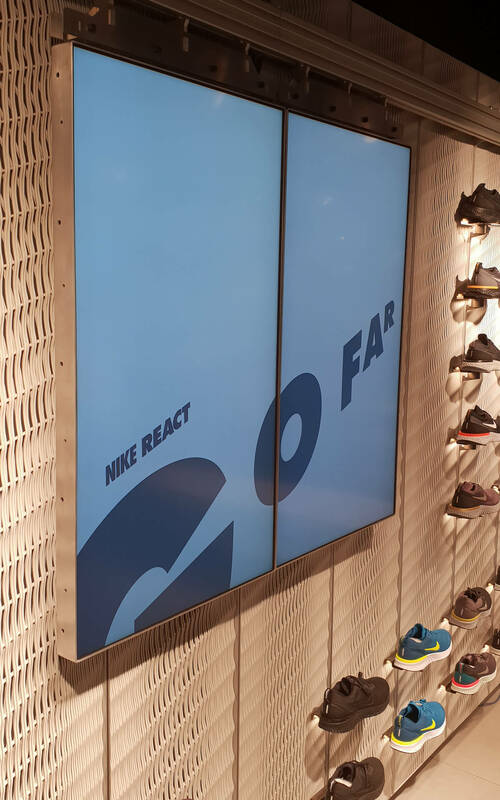 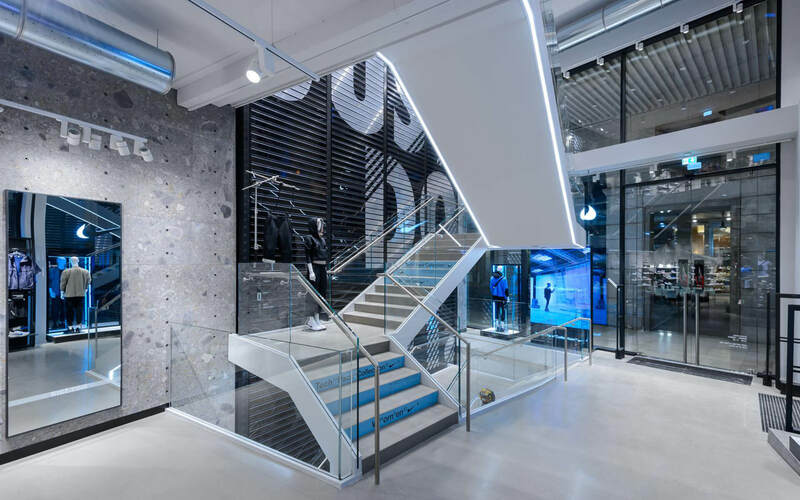 CRJ Audio Visueel has already arranged various Nike Super Stores with audiovisual equipment. 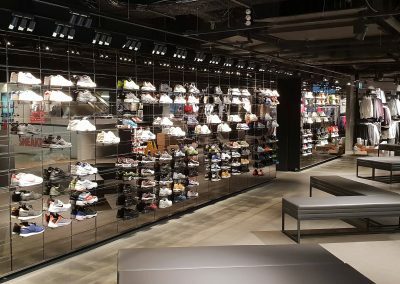 These locations are located throughout Europe. 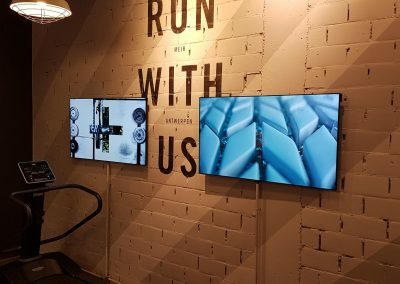 You can find our solutions in Berlin, London, Utrecht, Oslo, Vienna, Moscow, Cyprus, Barcelona and Milan. 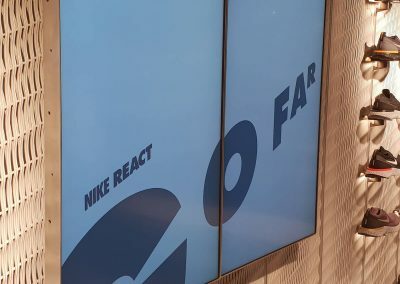 Nike has, among other things, the slogan: “We dare to design the future of sport”. 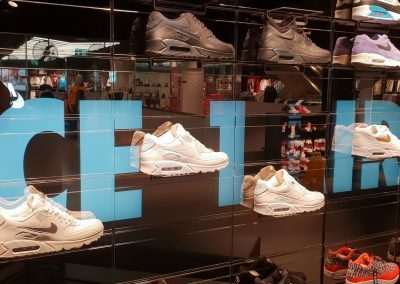 This slogan must of course also be reflected in the style of the stores. 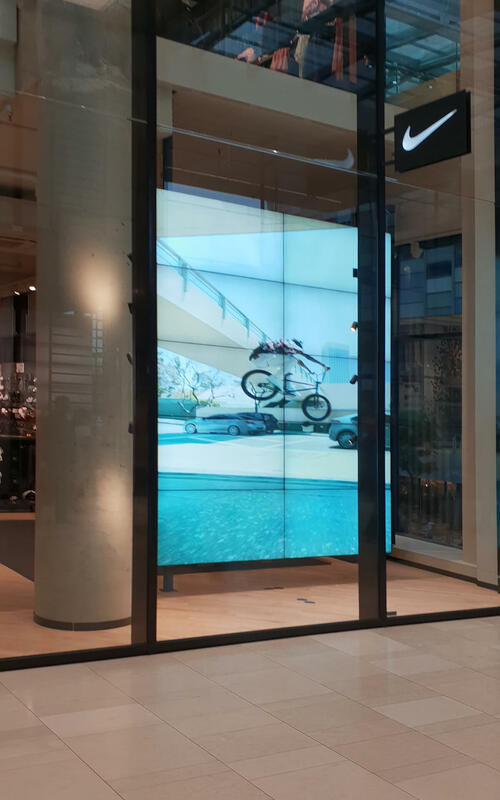 In consultation with the store builders, CRJ Audio Visueel can supply the screens for, among others, the video walls of Samsung and DynaScan. 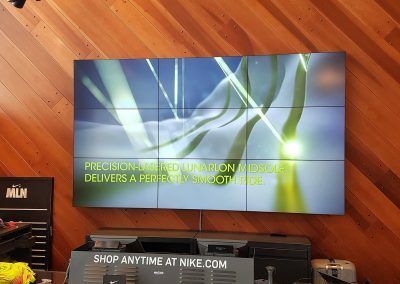 Naturally, this also includes mounting brackets and cabling. 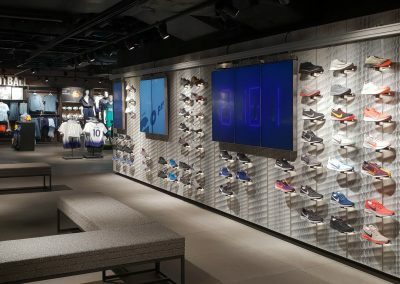 We assemble these on location in the stores. 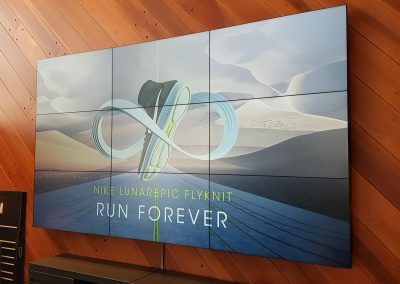 These are not always the standard video walls. 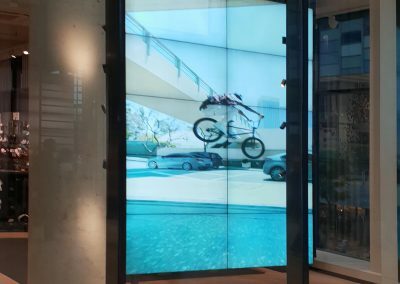 What do you think of a video wall in combination with a mirror wall? 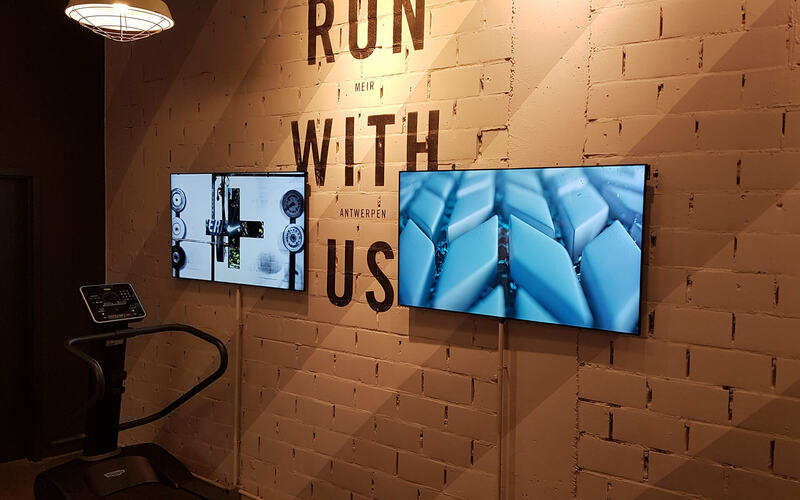 In short, we take on every challenge. 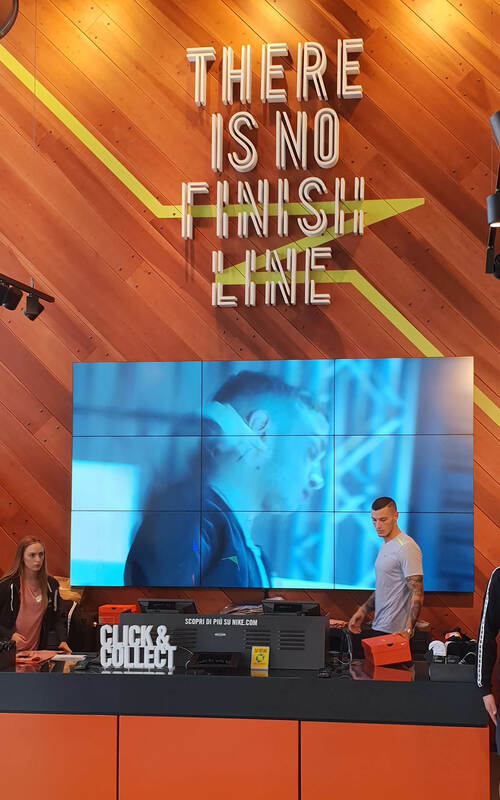 There is no finish line!